The safe and efficient running of a cooling tower system is reliant on good monitoring and management practices. 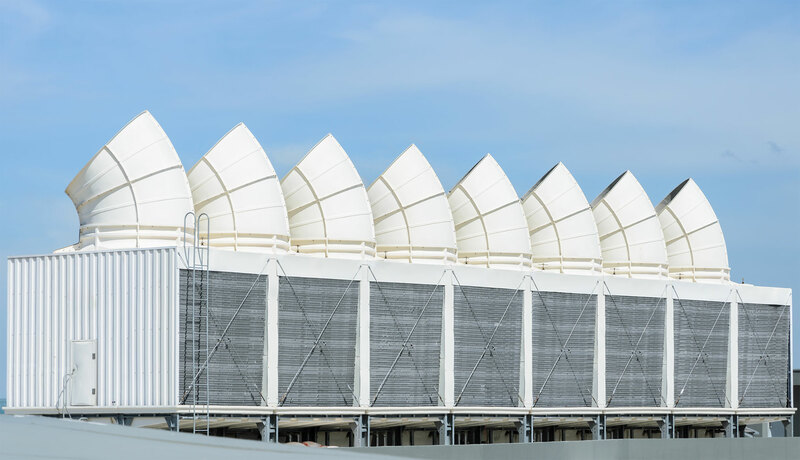 Advanced Water Technologies have over 24 years experience in managing both large and small scale cooling tower plant in a wide range of industries including heavy industry, food and dairy manufacturing, public sector systems and small private companies. We are aware of the importance of plant longevity and reliability and all our cooling tower management programmes are designed with this in mind. Call us to speak to one of our cooling tower management specialists and to arrange a free walk round cooling system inspection. Why do you need us to help with the control measures of your Cooling Tower? To protect the system against damaging corrosion giving the tower a longer life span. To control scale formation and fouling which will impair cooling efficiency by causing blockages therefore costing you money. Prevent and to control the growth of harmful microbes like legionella bacteria and avoid being prosecuted for poor management of your cooling tower by the HSE. 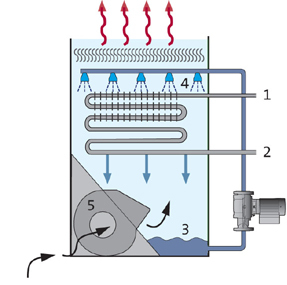 Evaporative cooling towers and condensers are highly efficient cooling systems but if the water within them is not correctly treated then a number of issues such as corrosion, scaling and bio-fouling can occur. Working together with a good water treatment company can control all of these things. It is essential to your company to implement them as a poorly maintained cooling tower is costly to you and dangerous to the surrounding area. Advanced Water Technologies can implement control measures designed specifically for your individual requirements so you comply with the HSE Approved Code of Practice for cooling tower legionella control, ACoP L8. The safe and efficient running of a cooling tower system is reliant on good monitoring and management practices. Whilst chemical water treatment is important, so too are the dosing equipment, general cooling tower condition and management practices. Without these in place a cooling tower system can soon be a hazard to those working in the surrounding area and even those remote from the cooling tower. Advanced Water Technologies manufacture and blend our own cooling water treatment chemicals at our factory unit, thus allowing us to tailor treatment programmes to our client’s specific needs enabling cost effective and efficient solutions to be implemented. Additionally Advanced Water Technologies have developed a unique range of non chromate based corrosion inhibitors which have proven efficiency in preventing corrosion and are environmentally friendly, containing no heavy metals. 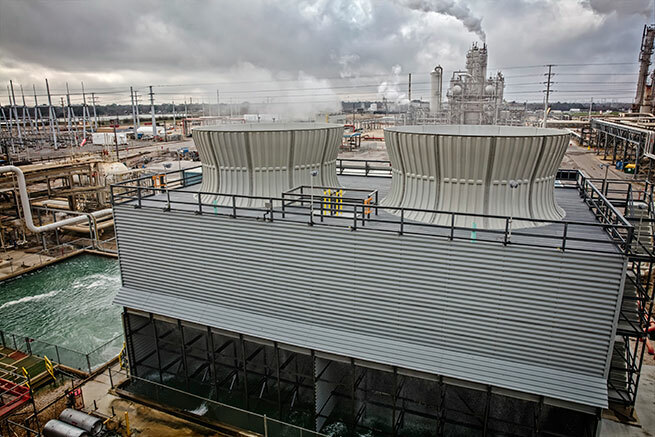 Cooling Tower water treatment can be found in many areas that typically involve Conditioning, Furnace Systems, Heat Treatment Processes and Refrigeration. Cooling water should be treated constantly. Ideally, an automatic water treatment system should be used that continuously controls the quality of the circulating water.